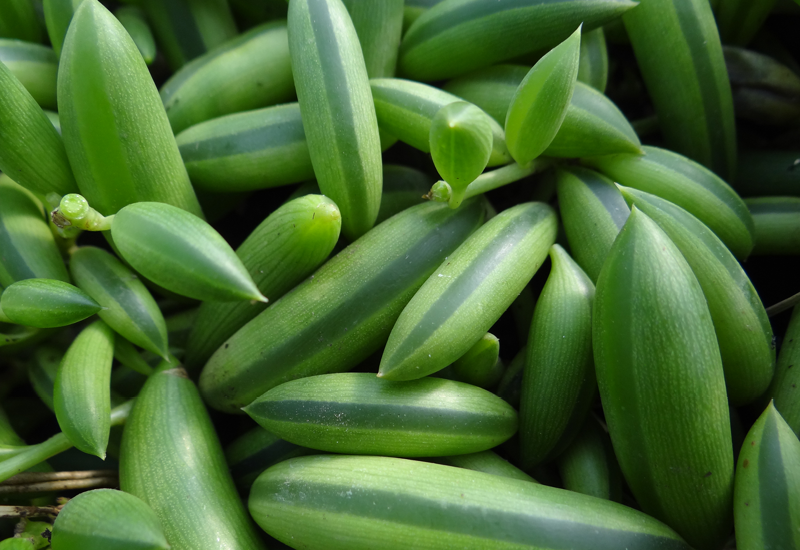 Senecio String Of Bananas is a fun and exciting choice for your hanging baskets. It has fabulous crescent shaped leaves that closely resemble tiny bananas, and these trickle down long strands. In summer you’ll find that fluffy white flowers will bloom and smell strongly of cinnamon.